The reign of Rameses III was on one hand a prosperous one, with successful military action, monumental building work and a flourishing of arts and culture, but his assassination marked the beginning of the “political fragmentation, social stress and cultural decline” that was to lead to the Third Intermediate Period. 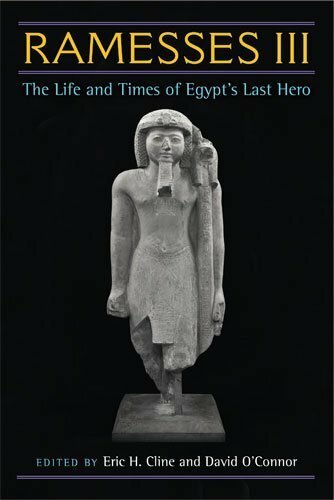 This volume represents the latest scholarship on Rameses III covering the king’s life and career and Egypt’s place on the world stage during and immediately after his reign. Kenneth Kitchen begins with his survey of the king and his reign, followed by chapters on religious practices, government, administration, society and economy. An exploration of foreign affairs includes links with Anatolia and the Aegean (Peter Haider), the Levant (James Weinstein) and the Sea Peoples (written by the editors and including an appendix of English translations of all texts dealing with the Sea Peoples). Medinet Habu and other monuments are explored in detail, followed by a survey of the literature of the age, rounding off with Steven Snape’s analysis of the legacy of Rameses III and the Libyan ascendancy. We discover that according to Rameses, he and his father were chosen by Amun to found a new dynasty and overcome social and administrative chaos (Christopher Eyre) and that he achieved some measure of greatness through his vigorous rule during a time of crisis and could “pose officially as a victorious king in the best tradition” (Kitchen); the art of Medinet Habu was innovative while also representing a continuation of a pre-existing tradition (O’Connor), although there is little evidence outside of the Theban area for the long list of monuments he planned to build (Bojana Mojsov); and while Rameses III’s building projects fell short of the mark set by his role model Rameses II, he possibly exceeded him in military success, ensuring the very survival of Egypt itself through “the crisis of the collapse of the Late Bronze Age world system” (Snape). 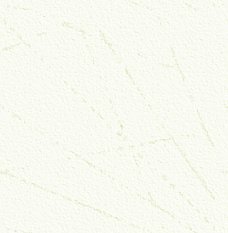 There is a huge bibliography, a brief biography of each contributor, and an index of subjects covered, although only a few illustrations. The price tag may force some to resort to their local library for a copy of this book, but it is certainly a must-read work for anyone with an interest in Pharaonic Egypt. Anyone contemplating a trip to Egypt should take with them a copy of this volume of traveler’s tales (sic: the American spelling is used throughout) and compare notes with the intrepid lady explorers who journeyed through Egypt in times past. Editor Deborah Manley has compiled an entertaining collection of writings by over forty “journal-ists” including Amelia Edwards, Lucie Duff Gordon, Marianne Brocklehurst, Sarah Belzoni, the wonderfully named Wolfradine Minutoli (travelling as a young bride with her Prussian husband on a scientific mission), and two more recent explorers: US travel writer Rosemary Mahoney, who in 2006 rowed herself down the Nile, and Bettina Selby, who cycled through Egypt in the 1980’s. Women writers were often better observers of life on the Nile, having more time to watch and describe; their dependence on Egyptian guides brought them a better understanding of local culture, and they were able to meet with Egyptian women, from villagers to members of the royal harem. Beginning in Alexandria, and moving south through Egypt to Nubia and into the desert beyond the Nile, Manley interweaves the experiences of the different women, linking them by the journey rather than chronologically, so that travellers in the 1800’s share their experiences with writers from later centuries. Some of the earlier travelers were passing through Egypt with their husbands, en route to or from India; by the mid-nineteenth century some women were travelling in their own right, and sometimes on their own, with the first true tourists arriving with the advent of Thomas Cook’s Nile steamers. The writings cover all aspects of travel on the Nile, from the scenery and peoples to more practical considerations. In 1861, writer and artist Mrs Carey pointed out the lack of irons in Egypt, forcing Europeans to choose between taking a lady’s maid, taking a couple of irons for their own use, or doing without ironing all together; she also had some good advice for tackling the “little tormentors of our race” (i.e. mosquitoes). Marianne Brocklehurst’s first glimpse of Alexandria in 1873 brought a gasp of “Great scrimages” as she described the shock of plunging into the Old World and its fashions, while in 1988 Bettina Selby described how “occasionally, a crack opens and a remnant of the Graeco- Roman world breaks surface”, while in Cairo she found comfort in noticing that Cairo drivers “did not seem to have any real malice towards other road users”, saying she would rather be knocked off her bike by someone’s lack of skill than their aggression! Manley provides an index of writers, which is useful if you want to follow the exploits of a particular contributor. 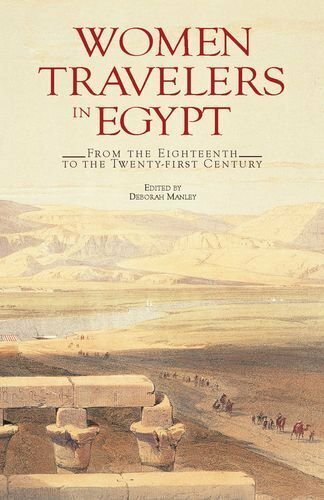 There are also brief biographies for each traveler, and a handful of black-and-white illustrations of nineteenth century Egypt; I personally would like to have seen portraits of at least some of these authors. As a journal writer myself, I fully sympathise with Lady Tobin’s comment that keeping a journal could become a chore, and that after a “fatiguing ride of eight or nine hours on a camel, beneath a burning sun” the temptation to just lie down and relax was often overwhelming, but fortunately she and the other writers persevered, allowing us to read, enjoy and learn from their experiences today. Florence Nightingale perhaps best sums up the timelessness of travel in Egypt: “... here Osiris and his worshippers lived, here Abraham and Moses walked, here Aristotle came … they are now all gone from the body; but the Nile flows and the Pyramids stand there still”. Douglas Brewer had a change of heart when he began to write this book. 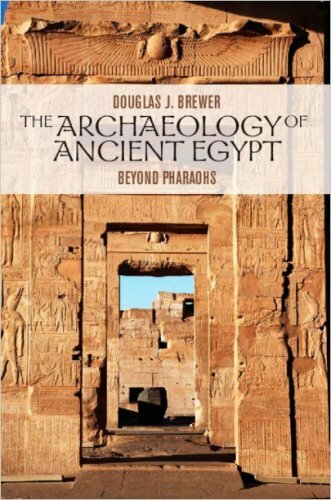 As he explains in his introduction, his original plan to survey the sites and artefacts of Ancient Egypt gave way to the decision to focus on the discipline of archaeology itself, to help Egyptologists better understand how archaeologists work and the reasoning behind their approach. Archaeologists study human history through the excavation of sites and analysis of physical remains, using a wide range of historical and scientific methods and techniques; Egyptology is a historical discipline, modelled on the classical studies of Greece and Rome which rely on written records to supply historical data. In studying ancient Egypt, both disciplines ask similar questions but take different pathways to find answers. Both approaches are equally valid; the Egyptologist is looking for historical facts while the archaeologist is trying to view a process through time, and a better understanding of each other’s approach can only be to the benefit of both. As an archaeologist, Brewer argues that most of our current knowledge of ancient Egypt’s past is based on the work of Egyptologists, while the potential for archaeology in Egypt has yet to be fully realised. He begins with an introduction to the history and development of archaeology, followed by a discussion of archaeological methods including the relative and absolute dating methods used on stone tools of Palaeolithic cultures, the analysis of skeletal remains to provide information about physical stature, diet and disease, using biological sampling techniques to investigate the origins of agriculture in the Nile Valley, and pottery dating to explain the transformation from simple farming communities to complex civilisation. The limits of archaeology are discussed at Hierakonpolis and Abydos: archaeology is better suited to the study of processes over time than dealing with specific events in time, and in describing events rather than explaining the reasons behind them. Having described sampling, dating, environmental context and the segregation of artefacts through classification, Brewer then discusses how archaeologists make cultural interpretations from the data they collect (using the complex New Kingdom Amarna settlement as an illustration), based on the assumption that artefacts are “the material remains of ideas held in common by the makers and users of those artefacts”. In interpreting these findings, archaeologists very much rely on parallel studies conducted by Egyptologists, which add depth to archaeological interpretations and can corroborate or refute archaeological hypotheses and models. 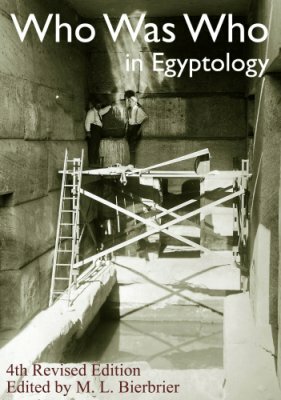 This slim volume, with black and white illustrations and full bibliography, is aimed at undergraduate students who already have a basic knowledge of Egyptology, but is an interesting read for anyone studying ancient Egypt; as Brewer concludes, only cooperative research and a greater understanding between archaeologists, Egyptologists, geologists, biologists and art historians can give a truly comprehensive understanding of the complexity of the human experience throughout history. As the title might suggest, this volume is not for the squeamish, surveying death by drowning, burning, flaying and impaling from the time of Narmer through to the Twenty-sixth Dynasty and opening with a rather gruesome text describing the retribution taken by Senusret I, the “vengeful smasher of foreheads” against “vile foreigners” who had desecrated the sanctity of a temple. But this is an intriguing and scholarly attempt to grasp the concept of Ma’at by understanding the importance of its negative counterpart, Isfet or chaos. Isfet is not the absence of Ma’at, but rather its antithesis and so has to be destroyed for Ma’at to be restored. In this, the first publication to explore the role that violence played in upholding Ma’at, the author draws on actual incidents of killings, texts that specify the rituals for such killings and the religious framework behind them. This is state-sponsored killing, which was as much ritual slaying as it was capital punishment, as is explained in the introductory chapter discussing to what extent such killing can be considered as a form of human sacrifice. Muhlestein then makes a chronological survey beginning with “Death by Narmer and others”, citing examples of the beheading of enemies, ritual slaying at festivals, sacrificial servant burials, decapitation, execration texts, the burning or cooking of criminals, strangling, “death by fire and other unpleasant methods”, and more. She concludes that sanctioned killing was a regular and consistent feature of Egyptian society throughout the Pharaonic era, and much of it involved elements of ritual in an attempt to destroy Isfet and return to a mythical state “when the land is as it was in its first time”, discussed in the pithily titled final chapter “Those who are about to die, we abhor you”. After reading this volume, ancient Egypt appears to be rather more blood-drenched than many Egyptologists would like to believe! To the ancient Egyptians, magic was a gift of the gods, given to mankind to help them in the struggle to survive. Magic formed a link between humans, gods and the dead, and was a source of supernatural wisdom: “a body of spells and actions that seek to affect fate by supernatural means”. The ancient Egyptian understanding of magic came from their religious beliefs about the creation of the world and their relationships with their gods. Those practising magic were the guardians of Ma’at, learned scholars who were always searching for the magic book of Thoth the god of wisdom (“guardian of the great book with divine words”) who had written down the laws of nature for his own use. Maarten Raven takes up this search in a book written following a major exhibition on magic at the Rijksmuseum van Oudheden in Leiden. 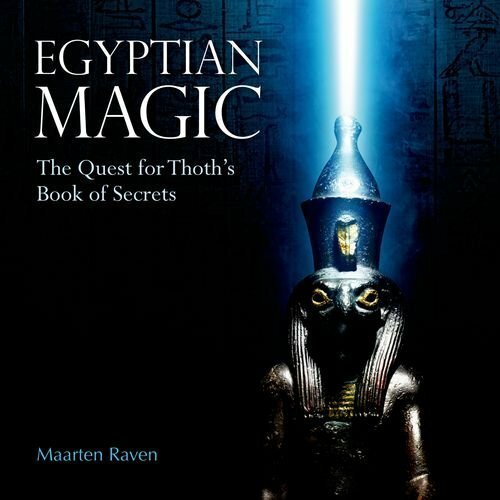 He explores the gods most often associated with magic, including Thoth, Heka, Isis and the supernatural talents of the deified Imhotep, witches and medicine men, the practice of magic and its use as a means of protecting the weakest members of the community from illness and other dangers or of ensuring crop fertility. He also investigates books of magic and spells to help the deceased reach the afterlife. The final chapter discusses the extent to which ancient Egyptian magic has influenced more modern occult practices in the western world, for example the setting up of societies devoted to the practice of ritual magic at temples specially built across Britain, attracting such luminaries as Bram Stoker, W.B. Yeats and Wallis Budge, and the CIA research project of the 1980’s which explored ways to eliminate enemies through magic. The popularity of ancient Egyptian sorcery is also reflected in movies such as The Mummy Returns, computer games such as Tomb Raider and the Harry Potter books and films. The book is well illustrated with magical objects from European museum collections, including a Roman Period love charm (consisting of a ceramic jar with an inscribed lead tablet and a clay female figure pierced with thirteen needles), a collection of clay animal figures from a magical cache found at Abydos, a camel rib inscribed with a Coptic curse and a ‘seal of Moses’ used in eighteenth century Germany as a magic means to find treasure. This is a well-illustrated catalogue of more than twenty-five important finds made during excavations of the Cemetery of the Pyramid Builders (about 2km south of the Sphinx), the Western Cemetery (west of the pyramid of Khufu) and four other sites at Giza. Objects include royal and private sculptures from the Old Kingdom through to the New Kingdom, including a statue of the dwarf Perniankhu found in the serdab of his tomb (close to the tomb of the more famous dwarf Seneb), a painted limestone seated statue of the priest Kai with his family, an unfinished pair-statue of Rameses II and a colourful group of statues of an Old Kingdom artisan called Inty-shedu. 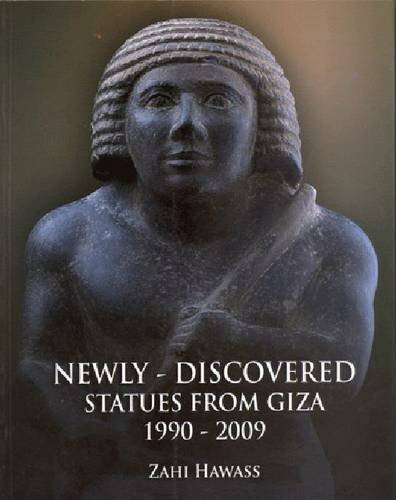 A diorite statue of Menkaura (about which there is some dispute regarding its authenticity) has also been included although it was found at Luxor and not Giza! There is a comprehensive bibliography and full description and analysis of each object. With plenty of colour photographs the book is an attractive record of a collection of important finds that showcase the craftsmanship of the people living in the shadow of the Giza pyramids. edited by M. L. Bierbrier. Any student of Egyptology will eventually come across the name of someone who made a significant contribution to the subject in the past, but is unfamiliar to the reader. This is where this invaluable book comes into its own, with concise biographies of past Egyptologists. As Editor of AE, I have found it invaluable, when checking the dates and places of birth of individuals mentioned in articles presented to me for publication. This newly-revised edition, which contains photographs or portaits where these are available, has special significance for me, as it contains an entry for Bob Partridge, my dear friend and previous Editor of AE, who died in 2011.